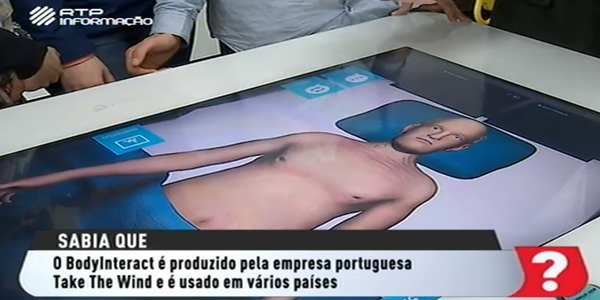 This month, RTP (Portuguese national TV channel), has made a story about Body Interact. For about 20 minutes, teachers and students from the University of Minho (Portugal) gave their very practical testimonies on how to use Body Interact, the benefits they have gained in this virtual learning environment, the skills they were able to test and improve. Take a look at the video here and find out for yourself what Body Interact users say about it.